Abstract - Over the last few years, many industrial control systems, including security solutions, have adopted digital technology. Components of these systems, which were physically separated are now linked together over network, making them remotely accessible and thus open to cyber threats . As part of the technological transformation made globally, physical access control and cyber security have been integrated so as to mitigate the risk of the existing cyber threats. However, in the Kenyan banking sector, financial institutions are reluctant to adopt the integrated security model despite its renown benefits. This research focused on determining the factors that hinder integration of physical access control and cyber security in the Kenyan banking sector. The study established factors that determine a banks’ attitude towards integration of the two security functions, determinants of banks’ intention to integrate their security functions and sources of pressure that would push the financial institutions to integrate physical access control and cyber security. The study also identified factors that hinder integration of the physical access control and cyber security units in financial institutions. The findings of the study were then used to develop a conceptual framework that is recommended as a guide for financial institutions that wish to integrate their security functions. Abstract - A large amount of electricity is consumed by datacenters to operate and bring massive electricity bills to operators. A new kind of electrical grid, called the smart grid, is emerging nowadays. The main function of smart grids is to enable two-way communications between the power generators and consumers. Smart grid technology brings several salient features to facilitate the efficient and reliable transmission of power. Revolutionary change in the smart grids is due to the facilities and moderations by ICT. New and advance smart grids are due to the upgraded communication standards. 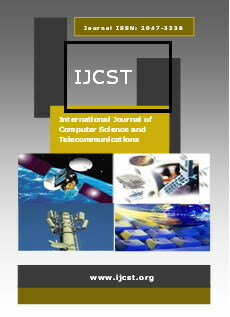 Many emerging technologies offered by telecommunication sector have been introduced. WAN, FAN and HAN networks are introduced in wire communication. Similarly, ZigBee, Bluetooth, WiMAX and other cellular networks are in wireless categories that are introduced in the smart grid networks. Recently the usage of more mainstream and reliable communication network, Fiber Optics has been adopted by Smart grids. In future Smart Grids will be more intelligent and smooth as Power Line Communication (PLC), Optical Ground Wire based Fiber Optics (OPGW) will be the highly active and fast communication networks within the Smart Grids. It focuses on the data rates, advantages, disadvantages and standards off different communication techniques. Abstract - This paper introduces the reader to theory of how organizations can minimize their threats by conducting assessments of threats and vulnerabilities. This paper also determines deviations from acceptable configuration that are identified in enterprise of local policy. In addition, this paper will assess the level of risk and how they are classified by organizations. Also covered in this paper we will look at recommendations for appropriate mitigation countermeasures in operational and nonoperational situations. The aim of this research is to introduce the reader of how organizations are being proactive at securing data and ensuring its integrity. Abstract - Multi-Processor Systems-on-Chip (MPSoC) appeared that changing tendency to expedient developing complication of embedded applications with increasing computation parallelism. Especially, real-time applications have a meaningful share in embedded filed. In Multiprocessor System on Chip (MPSoC), Network on Chip (NoC) is the backbone of communication. Efficient Application mapping in NoC based MPSoC reduces dark silicon effect. Application mapping makes the graph of different applications for the router of different NoC topology, affecting the complete performance and power relevant issues in NoC based MPSoC. This research paper presents a comprehensive survey on efficient application mapping. Aside from categorizing the various techniques, it likewise plays out a quantitative comparison in various techniques. Comparison has been performed for larger measured test applications likewise, with the goal that better technique can be distinguished. Abstract - Security threats and its prevention in networks is of major concern now a days. In this paper, a detailed review and discussion on vulnerabilities of different types related to optical networks is being discussed along with its countermeasures. A tabular comparison between different prevention techniques of these vulnerabilities is also outlined. In the end, its protection methods are made on the basis of their performances.